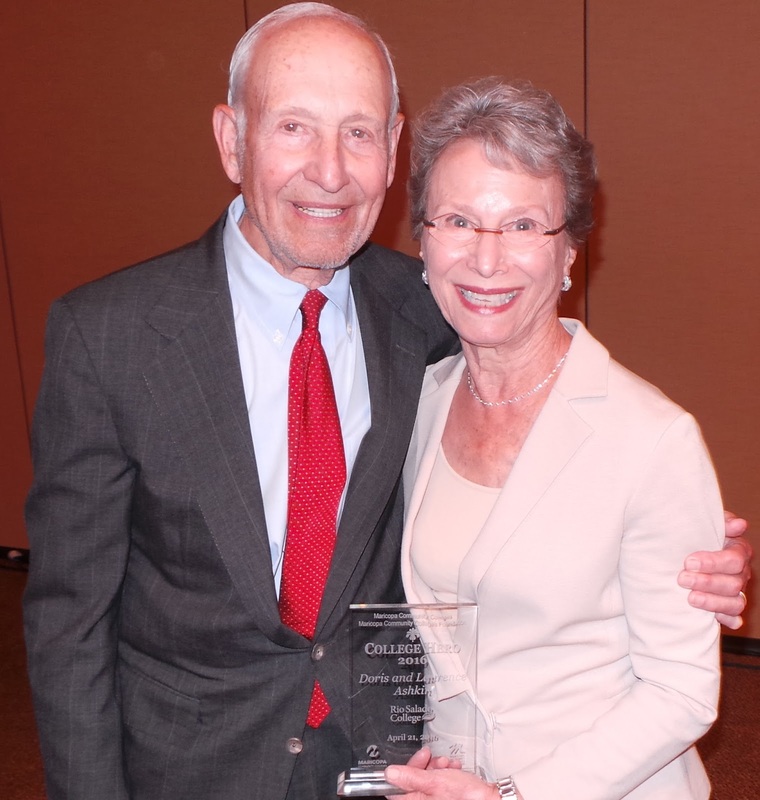 Rio Salado joined the Maricopa Community Colleges and the Maricopa Community Colleges Foundation for the annual Heroes of Education awards on April 21 to recognize Doris and Laurence Ashkin as the college’s Heroes of Education for 2016. Heroes of Education honors individuals who have a personal and professional commitment to supporting students and educational opportunities. Rio Salado chose Doris and Laurence Ashkin as the 2016 honorees because of the exceptional support they have provided to the college's Division of Public Service, which manages KJZZ 91.5, KBACH 89.5, Sun Sounds of Arizona and SPOT 127. This collaboration has provided opportunities for individuals to experience high-quality public radio programs. Their support has also contributed to the advancement of SPOT 127, KJZZ’s youth media center, empowering Valley youth with digital media skills that are vital to today’s information economy.